All right, Delhi has a rich history. And I mentioned this in the previous post. If I take in consideration the iconic city of Indraprastha, then the present day Delhi is the 10th city since the beginning of times. The source is largely Wikipedia and some history textbooks that I have. I don't know if any other city has ever seen so much development and changes during it's course of existence. Had I been a city like this, I would have probably suffered from an existential crisis! However, this is exactly the reason why I love Delhi even more. Every wall of this city, every ancient building, every tree - everything has a story to tell! Whenever I visit any historical place - be it a tomb or some fort or maybe some remains of anything remarkable from the medieval times - I feel like an important character of history itself. I can actually imagine the royal legacy these buildings stand as a proof of! I have grown up in an area where this Palace called the Sheesh Mahal is hardy 100m away from where my house is. 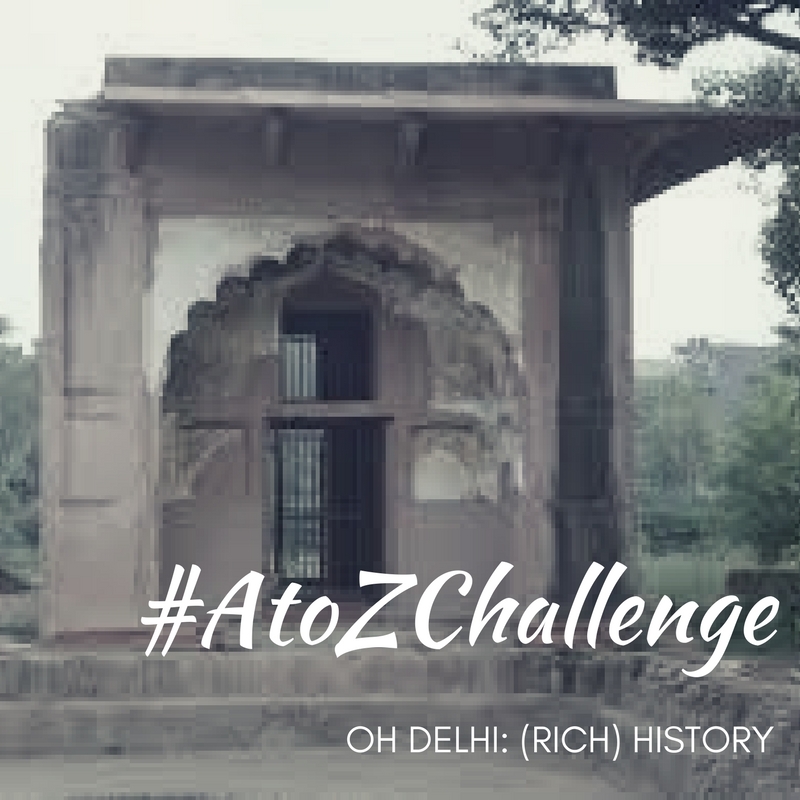 It was built by Shahjahan in the 17th century and served as a resting palace whenever the Mughals travelled anywhere via Delhi. Every wall of this palace has a story to tell. Every pillar whispers something in my ear. I spend most of my childhood sitting there, listening to the different version of the history associated with it (until the Archeological Survey of India came with its own version before preserving it - and then I came to know that Aurangzeb was said to be crowned here in the mid 17th Century). If you observe closely, you can actually see the wall paintings which has somehow fought the ravage of time. Half of my interest in history developed because of this park near my house. History of Delhi is very rich. It seems endless. The more you know about it, the more you get fascinated! The history and heritage of Delhi keeps me from leaving this city!